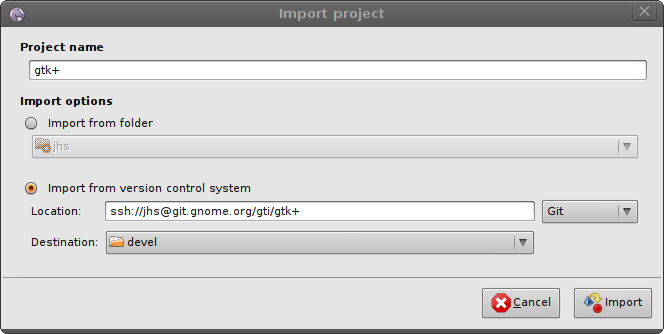 It is available from download.gnome.org! Please test it and reports bug to the normal anjuta bugzilla. 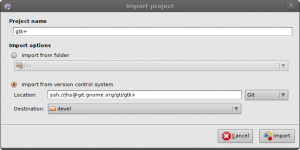 Yesterday, together with GNOME 2.27.1, Anjuta and gdl 2.27.1 have been released. They are available from download.gnome.org. Gdl features some useful additions that allow to control the appearance of the grip and to add multiple widgets to the grip. You can find an example in a screenshot of the Lumiera Project (have a look at the “Timeline” widget). In addition, theming problems with the buttons have been fixed along with some other small problems. Thanks a lot to Joel Holdsworth for all the work he put into Gdl. #576959 – Search does not point to correct line number on first match when file is not opened in editor. In addition there has been some work on the git plugin because it became obvious that it is not perfect after we all switched to git. Work here will continue and we hope to have an even better git support in 2.28. Massimo’ made the interface to the symbol database asynchronous which will allow us to avoid any freezes during auto-completion. This hasn’t to be implemented in the language-support plugin yet. In addition Massimo’ created some patches against ctags to support function return types. We hope those will be integrated soon.